This assumes a scenario where the existing water heater is functioning unencumbered. However, due to the related construction activities, a water heater detach and reset is required. 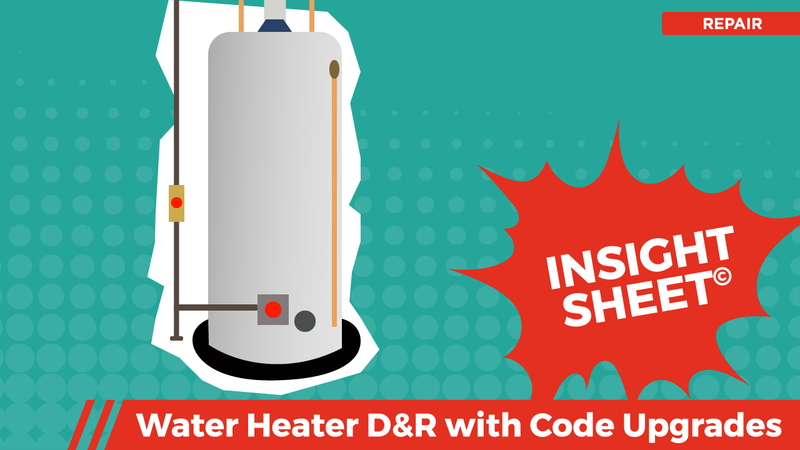 Water heaters have experienced considerable code upgrades over the last 20 years; thus, we felt it prudent to include some of the most common code upgrades one might encounter as it relates to a water heater. THIS IS NOT A TYPICAL DETACH & RESET! In order to cover and dissect many of the most common code upgrades, we assumed that the existing water heater was not in accord with many of the water heater related building codes that have been adopted/enforced over the last two decades. To that end, we attempt to illustrate a scenario where the water heater was not initially “signed off” by the building department. Prior to “sign off”, they mandated that a surface mounted bollard be installed as the appliance in question is in the path of cars parking in the garage. The building department also required that an expansion tank be incorporated. 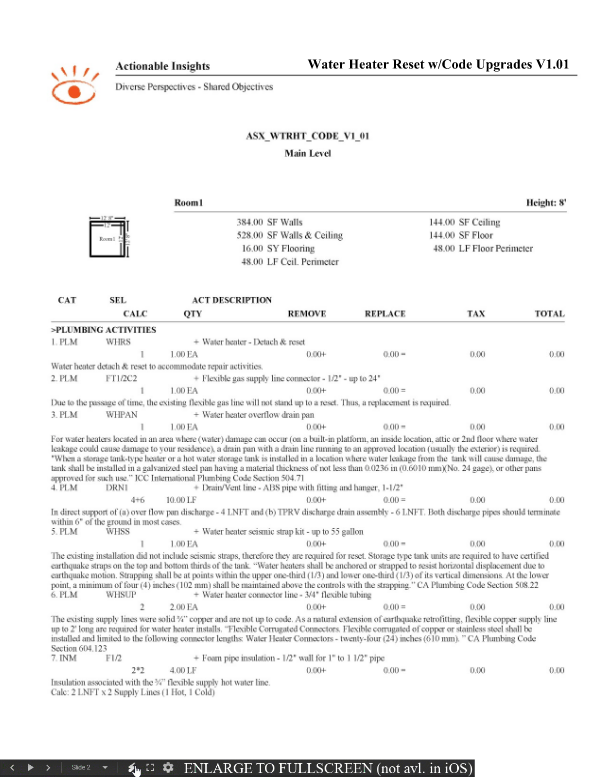 This Insight Sheet© exists to clarify how one might invoice for D&R water heater activities. This does not seek to include or make concessions for all equipment and/or activities as it relates to a loss of this nature. I am confident that the regulations in Canada are wildly different than CA. Do you intend on writing a sheet for us?